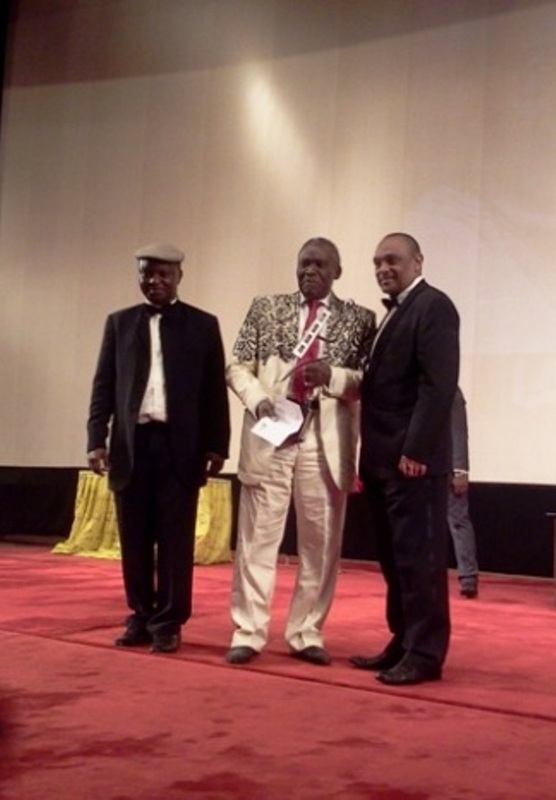 Olu Jacobs receiving his award from the administrator and officials of the Écrans Noirs. 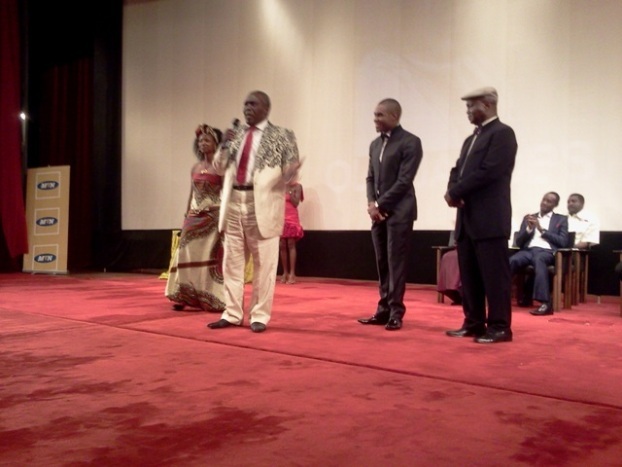 Accomplished Nigerian actor and Nollywood star Olu Jacobs was given a standing ovation at the closing ceremony of the 15th Écrans Noirs Film Festival, Saturday night of June 25, 2011 in Yaoundé, Cameroun. He was greeted with applause by the ecstatic audience as he mounted the stage to receive the Prix Charles Mensah (Ecran d’Honneur) for his outstanding life achievement as an actor of local and international success, especially for the great impact of Nollywood in Africa. Olu Jacobs thanking the the administrator, officials and the audience at the 15th Écrans Noirs. “African cinema and its actors” the theme of 15th edition of the Écrans noirs was a noble tribute to those who work in the continent to advance the seventh art according to the administrator Bassek Ba Kobhio. It attracted thousands of people from June 18-25, 2011. Present at the closing ceremony were Nigerian filmmaker Chike Ibekwe who was a co-winner of the best film prize at the 14th Écrans Noirs and one of the appointed presidents of the jury in 2011 and Mr. Madu Chikwendu, Regional Secretary of the Pan-African Federation of Filmmakers (FEPACI), co-founder and member of the Board of Trustees of Association of Nollywood Core Producers (ANCOP), and the sole Nigerian representative in the International Federation of Film Producers (FIAPF). Click here for details of the film festival. This entry was posted in Competitions, Featured, Film Festivals, Kulturati, News, World by admin. Bookmark the permalink.